Our customers will literally be amazed at the modern, progressive but distinct retailer that’s landed in their city. 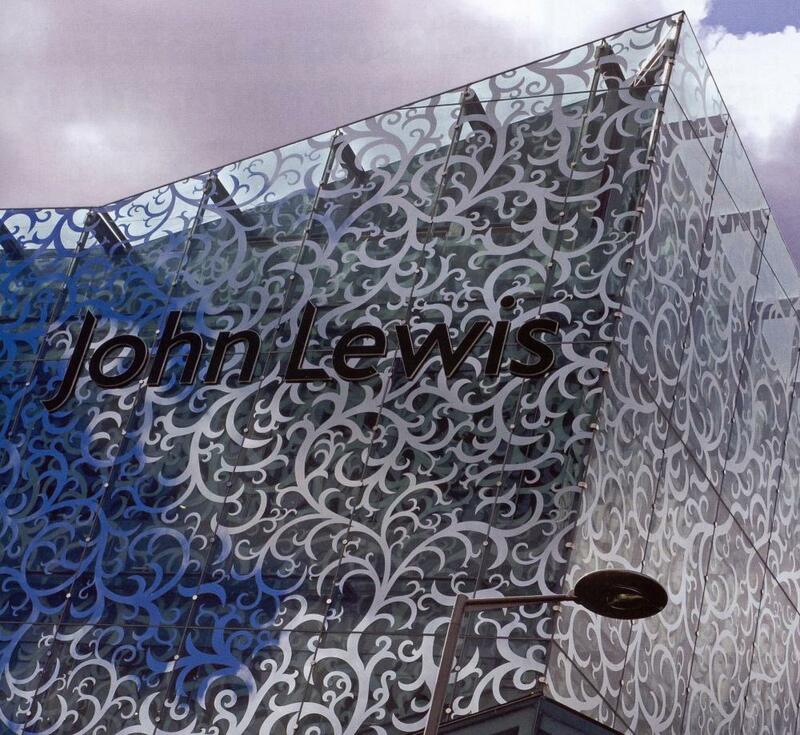 … the greatest thing for me ... is realising just how much a catalyst for change John Lewis has been in the city. The textile motif is a huge public relations asset. Customers have learned through local press and in-store about the archival inspiration behind the design. The adaptation of the original textile design and its reproduction on the glass cladding of the building communicates an innovative, distinctive and modern company identity. There was no cost associated with using in-house IP from the company archives as inspiration for the final design. The facade design reflects an aspect of local community history, as Leicester has long been associated with textiles, which helps bind the store to its locality.